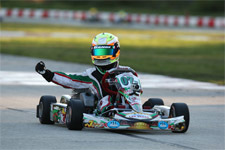 Dubbed “one to watch” in the TaG Junior category for the 18th running of the Superkarts! 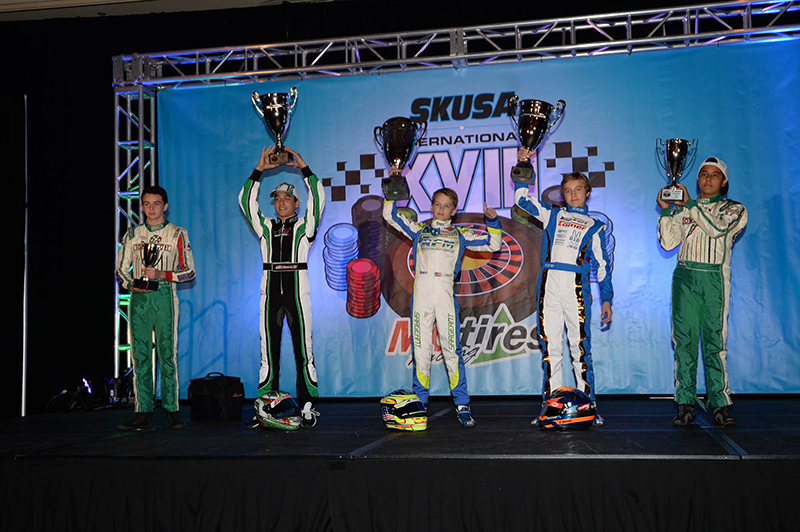 USA SuperNationals, Anthony Gangi Jr. certainly delivered while in Las Vegas, Nevada. Running against a staggering field of 70 drivers, the GT7 Motorsports pilot missed out on the big win, but stood on the podium when the exciting week of racing action came to a close. 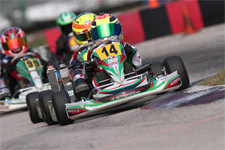 Running numerous practice sessions on Wednesday and Thursday on the temporary course in the parking lot of the Rio All-Suite Hotel and Casino just off the famous Strip, Gangi Jr. tuned his kart and sized up his competition ahead of the all-important qualifying session. Clocking a disappointing 24th overall, Gangi Jr. would find himself in the D group for the heat races and with some ground to make up. Taking to the track Friday for the first heats, Gangi Jr. went immediately to work on making up that ground. Showing speed and skill, the rising talent finished Heat A vs. D in the eighth position, and earned fast lap honors. Starting 12th in Heat B vs. D, Gangi Jr. was able to again post a solid result, finishing in seventh. 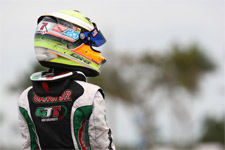 Back for more on Saturday, Gangi Jr. would prove his prowess in Heat C vs. D. Calculating his way to the top, the 2012 TaG Cadet SuperNats champ took the lead with four laps remaining. Posting another fast lap in the process, Gangi Jr. went on to take a heat race win – a feat in and of itself at the ultra-competitive SuperNationals. 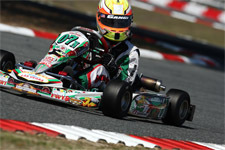 With three solid heat results, Gangi Jr. would find himself eighth on the grid for SuperSunday’s main event. 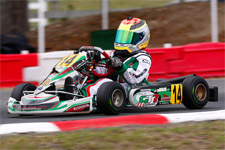 In a tricky position for the start of Sunday’s final race, Gangi Jr. was able to steer his GT7/Tony Kart entry through the treacherous opening corner to keep his hopes alive. 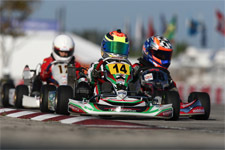 Leading a pack of karts, Gangi Jr. worked as he closed in on a duo of drivers fighting for second. Making it a quartet of karts battling for position, the young gun was promoted to third before he waged his war for second place. Making the pass but then getting passed right back, Gangi Jr. settled into third for the remaining laps and drove off with a respectable podium finish at SuperNats XVIII. Anthony Gangi Jr. would like to thank Team GT7, tuner/driving coach Thomas Silva, Daniel Woltjer of Woltjer Engines for the always-great power, Mike Doty of MDR (Mike Doty Racing) for all his help and support, as well as sponsors GT7 Motorsports, Millwork Solutions, Hole Shot Drive Systems, PKT, and Hot Head Engine Preheaters.